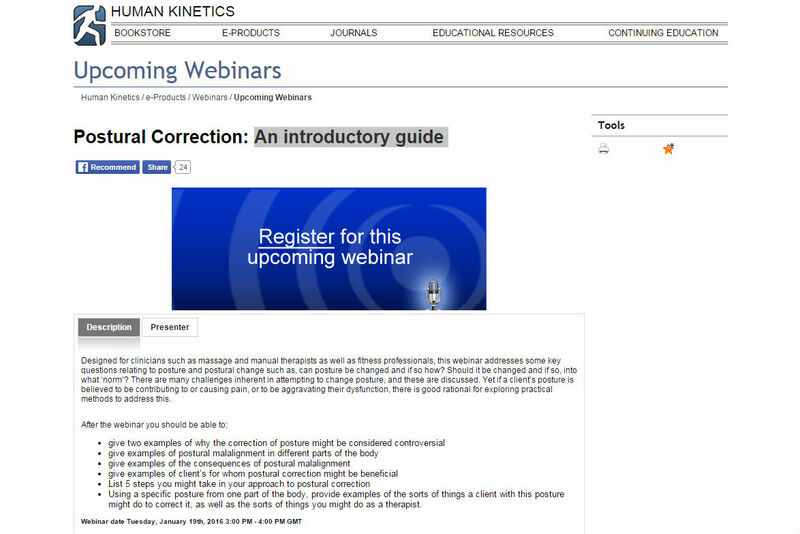 Join Human Kinetics and physiotherapist, Jane Johnson, on Tuesday 19th January at 3.00pm for a free webinar on Postural Correction: An introductory guide. Jane is a chartered physiotherapist and sports massage therapist. She is an author and has published a series of books designed specifically for therapists. Using a specific posture from one part of the body, provide examples of the sorts of things a client with this posture might do to correct it, as well as the sorts of things you might do as a therapist. 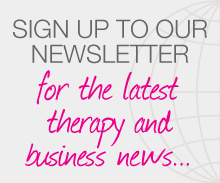 Posted on 17 December, 2015 by Federation of Holistic Therapists (FHT). This entry was posted in news and tagged news. Bookmark the permalink. The page is no longer available. How can I join please? I would love to attend this webinar. I have a busy day of clients on Wednesday so was wandering if I would be able to access this webinar after the event? It looks really interesting and I have tried to sign up but it says it’s no longer available, could you point me in the right direction please. I have a busy day on 19th is there anyway I can access after its live? I have tried to register for this but am getting nowhere. Can you help please?